I have almost no issues with the fact that I live in a shoe box in Seoul. Single girl living sans flatmates gives you limited options in terms of housing but it’s not too bad seeing as I travel most of the year and it’s just good to come back to something that’s mine no matter how small it is. 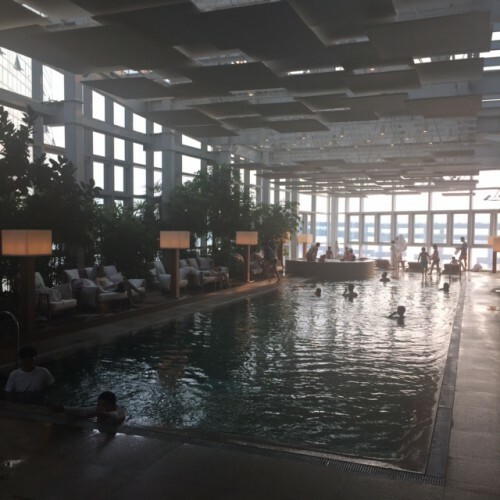 Except of course, when you end up at a hotel like the Park Hyatt in Busan. 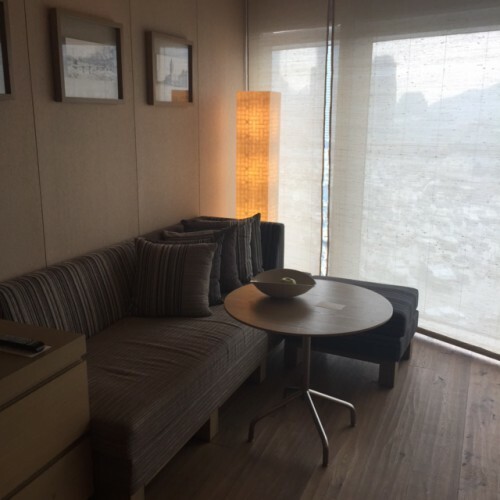 Located at corner of Haeundae Beach, a tiny bit isolated from the hustle and bustle of beach goers who will most likely opt to stay at the Westin, the Park Hyatt, much like it’s Seoul counterpart, is a minimalist haven for the discerning hotel guest. 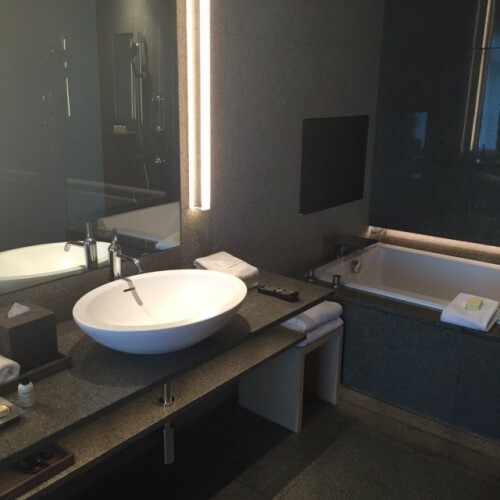 You realise when you walk into one of the hotel rooms, that your shoebox back home is just that, a shoebox and that the minimalist zen of the Park Hyatt simultaneously exudes a warmth that makes you feel like you’re right at home. 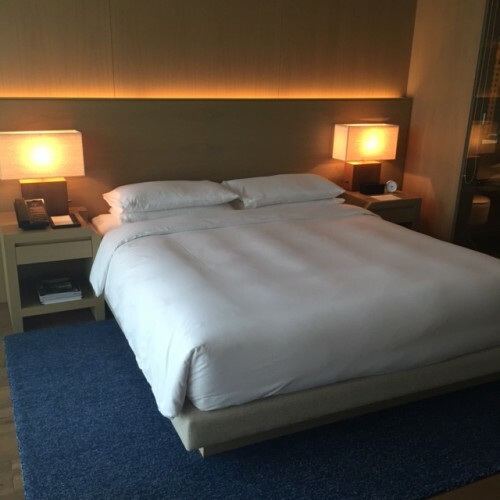 Although my bed back home can give the one at the hotel a run for its money, the fluffy sheets and feather light duvet that cocoons you like a hug just induces sleep. I’ve always been the type of toss and turn in bed but I pretty much knocked out as soon as my head hit the pillow. And then of course the sheer amount of space is rather enviable, especially the bathroom. 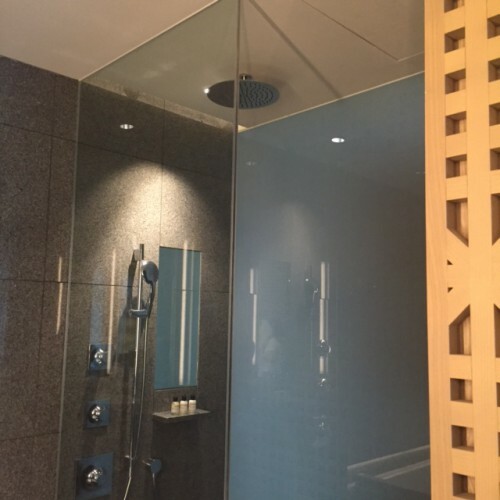 I have to say though, the next time I move, I am going to find a place with a tub and rainfall shower. If it has to be outside of Korea then so be it. I’ve always wondered why Korea hasn’t embraced the home bath culture… but I suppose that’s what the saunas are for. After a couple of hours by the pool, which is located on the third floor, and not the best hotel swimming pool by any means, a long soak in the tub is the best kind of remedy. Pro tip for poolside: get there super early and mark your territory because Koreans are notorious space hogs and they will just camp out there forever. 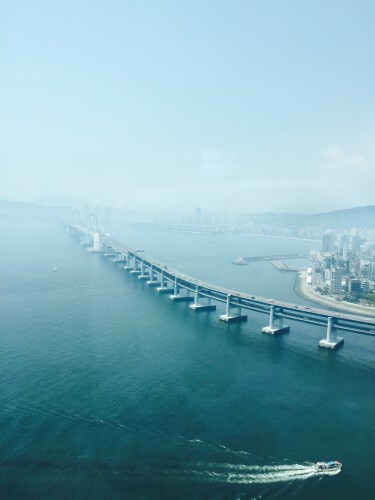 Busan, I miss you and I’ll be back soon, especially for the amazing food – which will be the next post, obviously.